Last week, Turkey's BOTAS and Russia's Gazprom reached an agreement on financing the Turkish Stream gas pipeline project within Turkey itself. Gazprom, however, said potential new US sanctions might delay the project. A Russian expert explains how new punitive US measures will hit the venture if they become law. Last Monday, media reports said that Turkey's state-owned crude oil and natural gas pipelines and trading company BOTAS and Russia's energy giant Gazprom reached an agreement on financing the Turkish Stream gas pipeline project within Turkey itself. 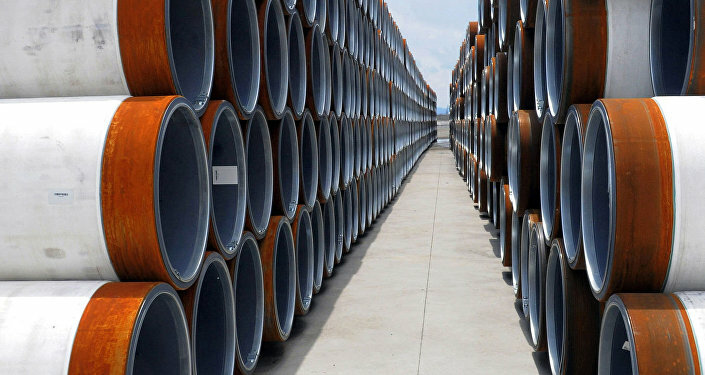 BOTAS General Director Burhan Ozcan said that the process of obtaining permits for the construction of the second branch of the Turkish Stream pipeline was "going smoothly, without any pitfalls." "We have already agreed with them [Gazprom] on this issue, but I cannot disclose the figures [regarding] in what percentage share we will do it," Ozcan told Sputnik on the sidelines of the XXII World Petroleum Congress. Gazprom however said that potential new US sanctions against Moscow may delay some of its projects, including Nord Stream 2 and Turkish Stream gas pipelines." The risk of the United States imposing sanctions… may result in delays, or otherwise impair or prevent the completion of the projects by the group," Gazprom said in a prospectus for an upcoming Eurobond issue. "The group's export pipeline projects (including Nord Stream 2 and Turkish Stream) and deepwater, Arctic offshore or shale projects that have the potential to produce oil in the Russian Federation or elsewhere in the world may face difficulties." The new set of punitive measures does not mention the Turkish Stream project in particular. However it foresees one important measure which is discretionary: sanctions on investment in the construction of Russian energy export pipelines. If the Treasury Department opts to use this provision aggressively, it could threaten sanctions against any company that makes a significant investment in Nord Stream 2 gas pipeline that would connect Russia to Germany by way of the Baltic Sea. And if Treasury were to levy such threats credibly, the parties involved in the project, may well decide it is too risky to proceed with the project. Alexei Antonov, an analyst at Alor Broker, explained how the new US punitive measures, which are still need to become a law, could damage the Turkish Stream. According to the new sanctions list, the US President may sanction individuals or companies who have invested in the construction of Russian export pipelines either in the amount of $1 million in one installment or in the amount of $5 million in total throughout the year. If it applies to Nord Stream project, the analyst explained, it would be hard for Gazprom to immediately find the means for the construction of the parallel pipeline to Turkey. Moreover, Turkish companies, which will allegedly invest into the Turkish Stream, will also be cautious about the sanctions, as it might negatively affect their relations with Europe, the analyst said. He also suggested that Russia might be able to lay its pipeline to Turkey, one of the largest consumers of Russia's gas, as it is highly unlikely that it will agree to buy alternative, highly expensive, US liquefied natural gas. However further pipeline from Turkey into Eastern Europe will be a lengthy and painful process. 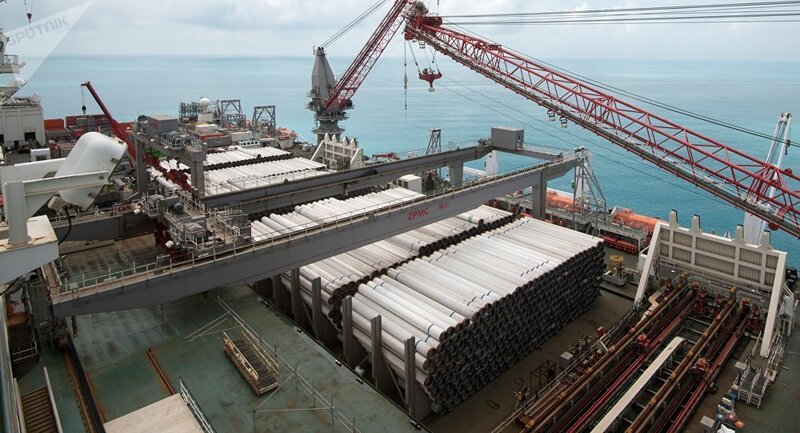 Much will depend on Dutch offshore contractor Allseas, the expert says, which has signed a contract to build the second string of the Turkstream gas pipeline’s offshore section. If the sanctions have an impact on its work, then Gazprom will have to find another contractor, which could become a separate problem. In case Allseas stays in the project, the pipeline will be laid down up to Turkey. However the US will do its best to prevent the further string into Europe, he suggested.